You can reach Larnaca from Germany quickly and comfortably by plane, the international airport is only five km outside the city centre. At Larnaca International Airport Cyprus LCA, the flights of renowned European airlines land and take six million passengers to Cyprus every year. Ideally, you have decided to rent a car on our portal. You can pick up your reserved rental car at the pick-up point of your car rental company on arrival at the airport. The third largest city on the island of Cyprus is Larnaca, which has a port and thus plays an important role in regional trade and local industrial enterprises. In addition, Larnaca is one of the most famous health resorts on the Mediterranean island, with a population of about 52,000 inhabitants and 70 km from Limassol. Numerous beaches invite you to swim, dive, paragliding or windsurfing. The shore road, which is planted with palm trees throughout, then encourages you to take a leisurely walk with a perfect view of the sea yachts anchored in the bay. Larnaca offers a wide range of historical buildings and other natural attractions await you as travellers in the surrounding area. Find out below where to find your airport car hire company and where to pick up your rental car. Only five kilometres from Larnaca, LCA airport is located on the Mediterranean coast. Operator is the Cyprus Dept of Civil Aviation. At present, the airport has only one terminal, which is less and less able to cope with the ever-increasing number of passengers. The airport is mainly served by flights from Europe, but also by airlines from North Africa and the Middle East. More than 30 airlines are present at Larnaca Airport, including Lufthansa and British Airways. The only airport terminal is divided into a departure area and an arrival hall, with restaurants, bistros, cafés, ATMs and bank branches on both levels. You arrive in the arrivals hall after landing, you can take your luggage off the treadmill and after that you only have to walk a few steps to the counter of your car rental company. In the arrivals hall you will find all known international car rental companies and surely also the car rental service of your choice. The switches from Hertz, Avis, Europcar or Budget are not far apart. If you have taken advantage of our offer to rent a car at the airport of Larnaca, you will be expected to arrive there. The tenancy agreement is ready and only your signature is missing. Please do not sign until the details have been thoroughly checked. You could not only rent a car at low prices, but also order the desired accessories, determine the scope of insurance, decide on a tank control system and much more. If all your wishes are included in the rental agreement, sign it, have the rental car keys handed over and explain the way to the pick-up station. Every car hire company present at Larnaca LCA Airport has its own pick-up point, where you can pick up your rental car and return it before departure. The pick-up station is usually only a few minutes' walk from the terminal on one of the car parks. If the pick-up station is more than one kilometre away from the car rental, you can use a free shuttle bus or the landlord will take care of the transfer on request. You will always find a suitable car on our comparison portal and can rent it with the desired accessories at a very reasonable price. The process is very transparent, convenient and quick. At the pick-up station at LCA airport, however, you must take a close look at your rental car, ensure that all operating elements, especially brakes and lighting, are in working order and check its visual appearance. If you discover any technical defects or damage to the bodywork, make sure that these are noted in writing in the acceptance protocol. In the case of complaints that lead to limited traffic safety, you require a replacement car in your own interest. Because you also bear full responsibility for your rental car in Cyprus during use. If the car is in perfect condition, you can pick it up without any worries and explore Cyprus from the airport. Many people opt for a Cyprus holiday overnight, choose flights from any airline with the aim of getting to Larnaca International Airport and arrive at the airport with the intention of renting a car cheaply from any car rental company. The problem is already pre-programmed with such an approach, at least in the peak travel season. No car rental company has the favourite car in stock at a reasonable price, even Navis or child seats to the rental cars are all reserved and therefore not available. And once you have found a suitable rental car after a long search, you will need to have a detailed rental contract drawn up and signed at the pick-up point before handing it over to you. What do I have to consider when renting? Which vehicle class do you prefer and for which duration? Which insurance benefit should be specified for the rental car? What is the expected mileage? Do you also need a navigation device or child seat? What are the fuel options at Larnaca Airport? Even if you have not booked your vehicle cheaply via our portal, we are happy to give you some suggestions for the optimal rental. Decide on a rental car that suits you and pay attention to low-cost long-term rental offers. Always choose a comprehensive insurance policy with no excess and an additional policy for damage to tyres and glazing. 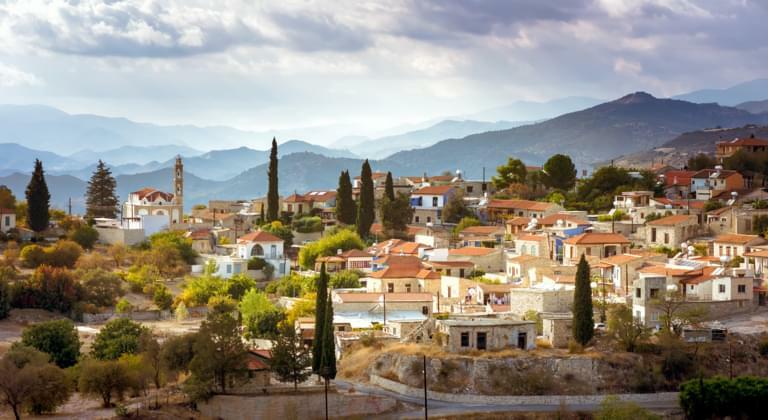 If you rent a car with unlimited mileage, you can discover Cyprus's idiosyncratic beauty. According to our experience, every time you rent a car at the airport pick-up station, you take over a full tanked car and have to return it as well. Where can I refuel my car at Larnaca Airport? There is no refuelling facility on the airport site itself, but there is a gas station not far from the airport exit on the road to the A3. You leave LCA airport after the roundabout on the well developed A3 and reach the city centre of Larnaca by turning right after about 2 km onto the B5. Alternatively, turn right at the roundabout after the airport exit onto the B4, drive along a large lake and then onto the B3, which runs directly along the beach in Larnaca. Also well signposted are the roads from the International Airport LCA Cyprus to Limassol (just under 70 km) and to Nicosia (52 km). Ideally, your car rental company can inform you about other destinations in Cyprus. The island offers beautiful sandy beaches and at the same time rustic mountain landscapes with hidden sights. Your rental car will take you anywhere comfortably, but there are some special features to be observed in road traffic. At the International Airport Larnaca Cyprus you have to turn left at the pick-up point of your car rental company and overtake on the right. The left-hand traffic is a bit unfamiliar at first and requires your full attention. The good intention to rent a car cheaply can become considerably more expensive by following traffic offences, because the police are everywhere very active. Which traffic violations should be avoided at all costs? As your rental car is marked with a red number plate, you will be able to meet car drivers everywhere on the road who are considerate and helpful. Driving on the island is therefore a stress-free pleasure. You drive your rental car after filling it up to the drop-off section of the pick-up station of your car rental company. You will find all airlines in the departure lounge and can follow arriving and departing flights on a blackboard. You check in at one of the airlines and spend the time until departure in the restaurant, coffee shop or W-Lan area. Unfortunately, the terminal does not have a roof terrace from which you can observe flights of all airlines taking off and landing. Finally, a tip for renting: Suppose you fly with one of the airlines from Larnaca Cyprus airport to another holiday destination. Then the idea of renting a car for them through our portal would be simply excellent. This saves you a lot of effort and effort at the airport of arrival, because your reserved rental car is already waiting for you, as cheaply as we have chosen it. For the sake of your budget, always opt for cheap flights and cheap rental cars. However, the tickets should come from reputable airlines and your rented vehicle should be from a reliable car rental company.